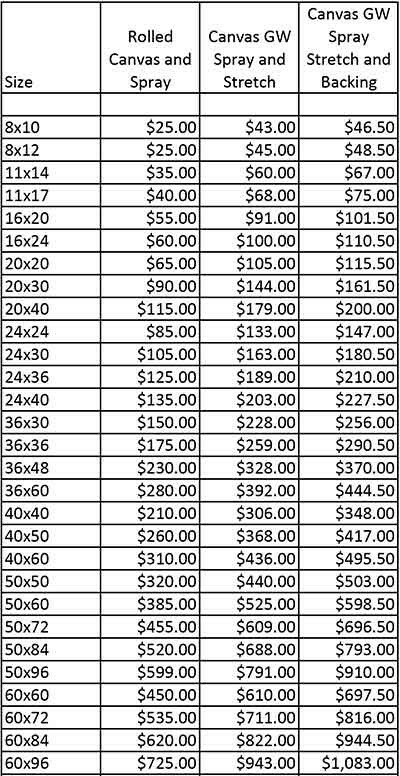 Medias available and Produced from your files on Maui, Hawaii. 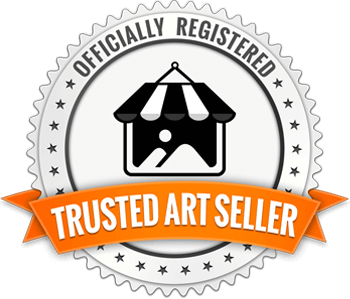 We print from your uploads for wall art, Decor Art and galleries. Fine Art Canvas, Chromaplex which is a metal print look alike. All of our Fine Art Canvas is offered as either a rolled canvas, standard stretch or a gallery wrap stretch and is hand crafted with archivability in mind. We stretch on 5/8”, 1”, 1.5” and 2” bars. 1.5” is our standard or most common size. 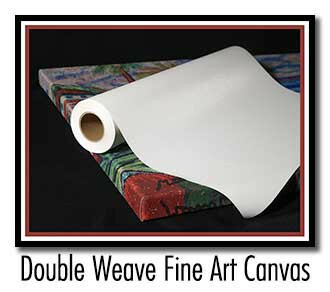 Our canvas is a premium 2 to 1 weave canvas that features a poly/cotton base with an acid free ink jet receptor coating. We spray finish all of our canvas with an eco friendly coating that when soiled by dust (or other perils of nature) can be wiped clean with a soft damp rag. Our standard coating is a luster sheen. Gloss or matte is available upon request. Stretched on various sizes of stretcher bars that if requested feature a dado groove in the back of the bar to accommodate a fomecore backing. The fomecore backing option creates a vapor barrier for longevity as well as keeping the vermin away. We use stainless steel staples to assure no rust, which equals longer life. Upon request we can also coat stretcher bars to give a more archival solution. The combination of products used for creating Fine Art Canvas has a proven life of over 100 years with indoor viewing conditions. “Looking through a sea of glass” or “Viewing a reflection on a still pond” are a couple of ways that people have described the art form called Chromaplex. This is the art of combining art and/or photography with the perceptual depth of acrylic. These images are three-dimensional looking – almost holographic in nature. The emotional appeal will capture your heart. Imagine adding a window to a blank wall. Simply stated, these images will reach out and grab you. 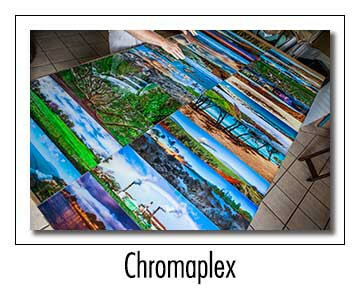 Chromaplex take metal prints to a whole new level. 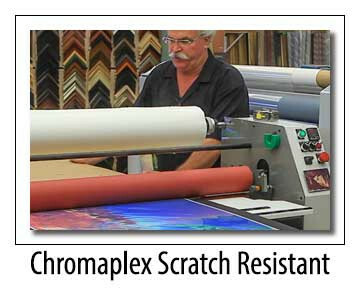 Chromaplex is available in both standard and scratch resistant acrylic. Scratch resistant Chromaplex can be cleaned with a soft damp rag. Standard Chromaplex is best cleaned with a soft microporous cloth. Our Acrylic optical abrasion resistant Chromaplex resist marring and scratching from everyday public contact, daily cleanings and airborne dirt and dust that are found in many applications. This property significantly extends the service life of the product.